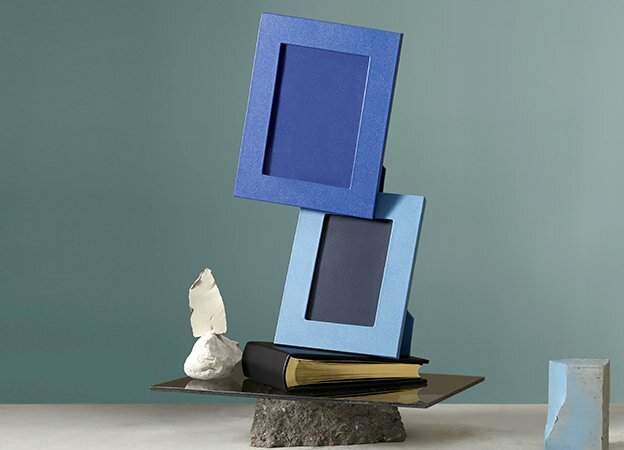 A gift from Smythson is a mark of distinction and will arrive exquisitely gift wrapped in our signature tissue-lined Nile Blue boxes with a hand tied with navy grosgrain ribbon. 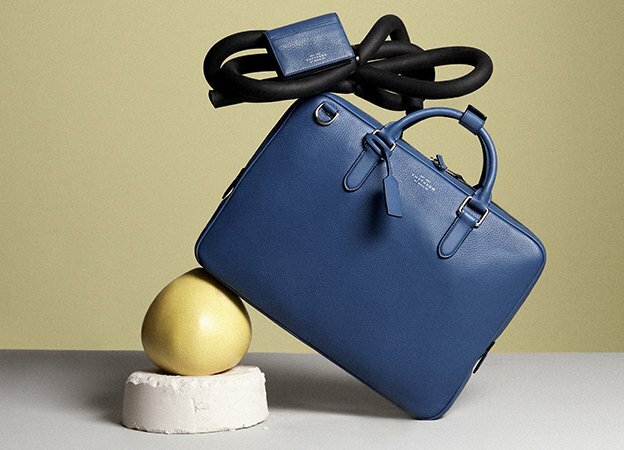 Large leather goods are equally beautifully presented in a soft Nile Blue drawstring pouch within an iconic Smythson bag tied with a navy grosgrain ribbon. 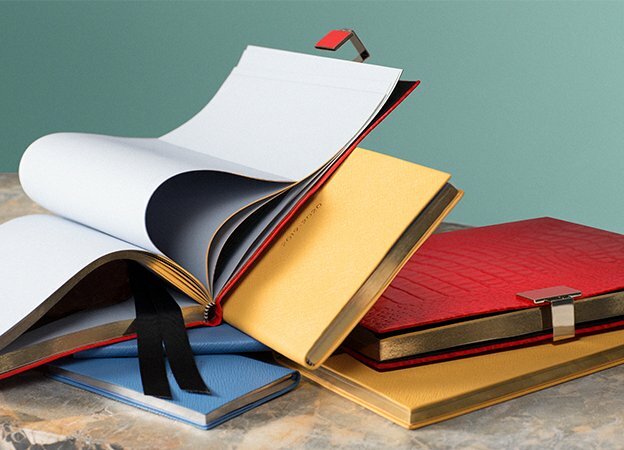 From branded accessories and personalised stationery to something wholly bespoke, allow us to guide you through the collections and discover the Smythson heritage behind each handcrafted piece. 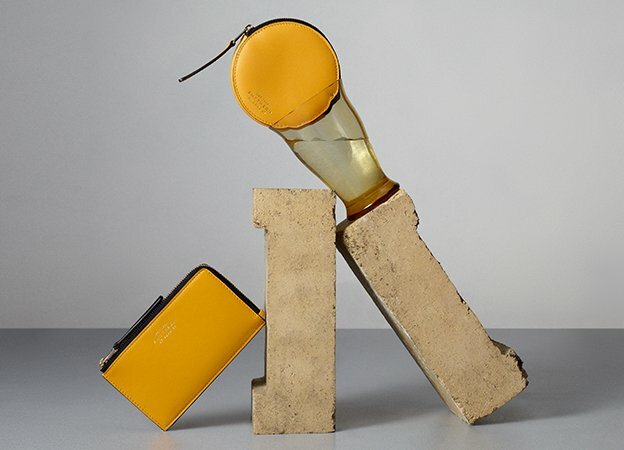 Enquiring about our corporate gifts service couldn’t be easier. 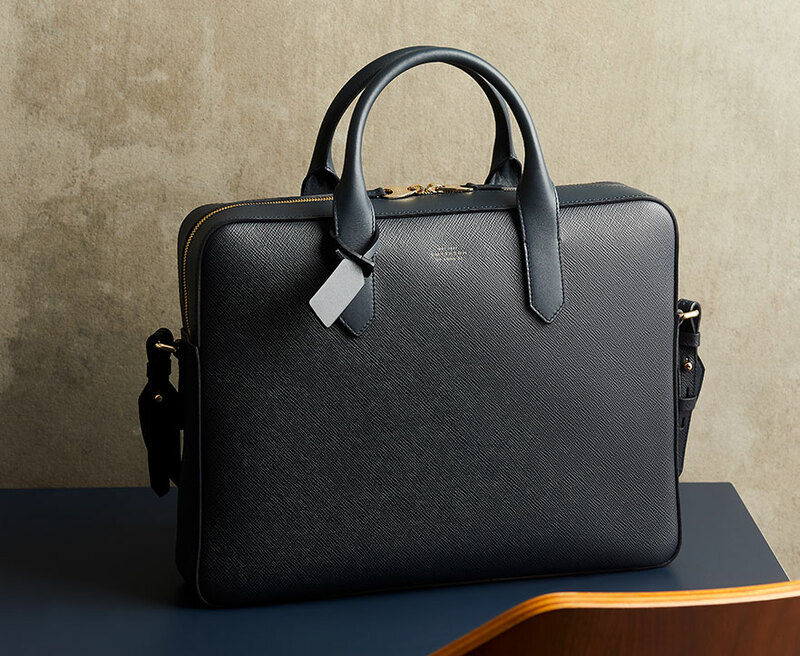 Simply email corporategifts@smythson.com or call us on +44 (0)207 318 1501 where a member of our team would be delighted to assist you. For an overview of our services we invite you to browse our latest brochure. 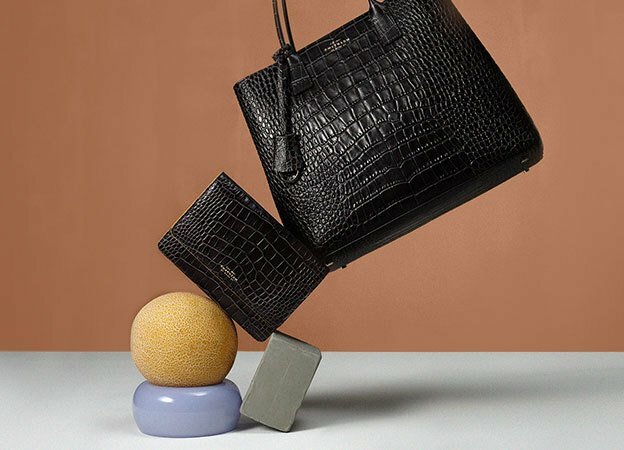 Smythson believes in individuality. 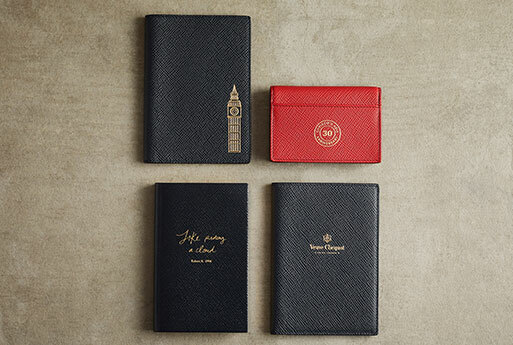 Personalised gifts mean you can tailor products to create something truly special and unique. 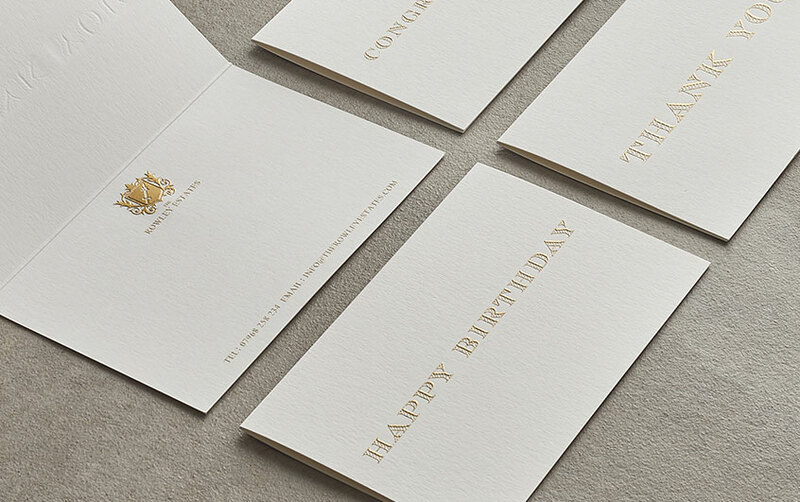 Upon request, our dedicated artisans can personalise items with your logo or company ethos in a choice of gold, silver or blind stamped lettering. 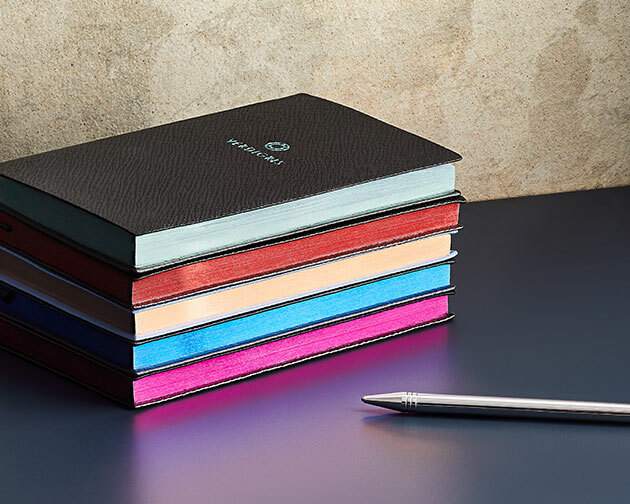 To create something truly magnificent, Smythson’s design team is on hand to create tailor-made products that fully embody your company’s persona. 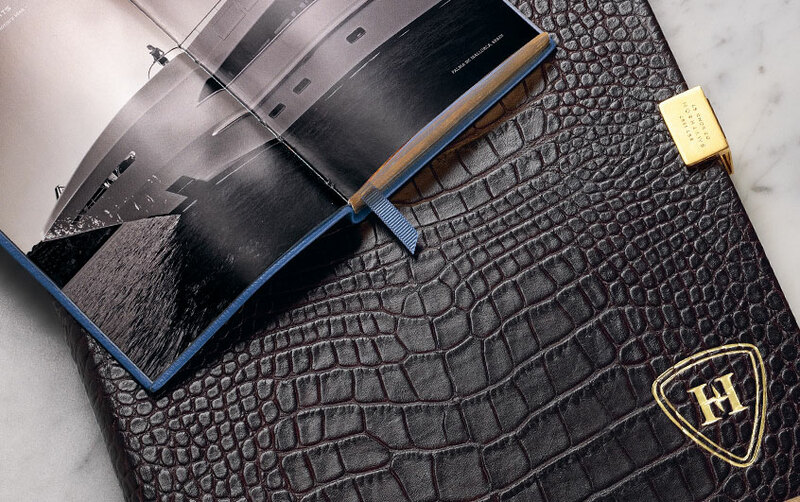 Our team will work with you from initial concept to final production, creating a matchless product that reflects our unrivalled expertise in design and craftsmanship. This exquisite port box was designed with W&J Graham’s to present an extremely limited edition collection of a 130 year old Port. Dating back to 1882, this port was first purchased by the great-grandfather of the Symington family and the historic decision to open the cask required an equally historic presentation box. 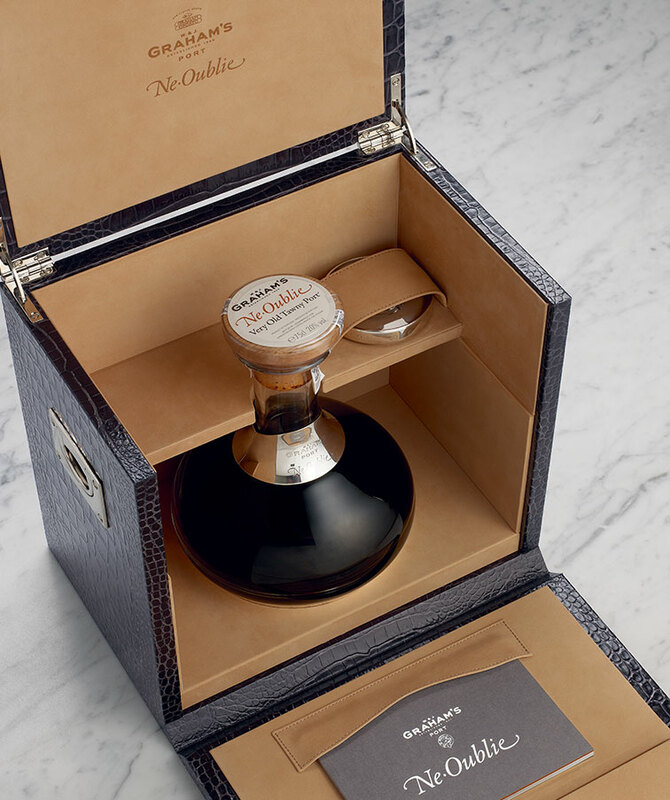 Smythson designed one such box for every bottle of ‘Ne Oublie’ and also created an accompanying booklet to tell the tale of the family, the port and the attention to detail that accompanied its presentation. 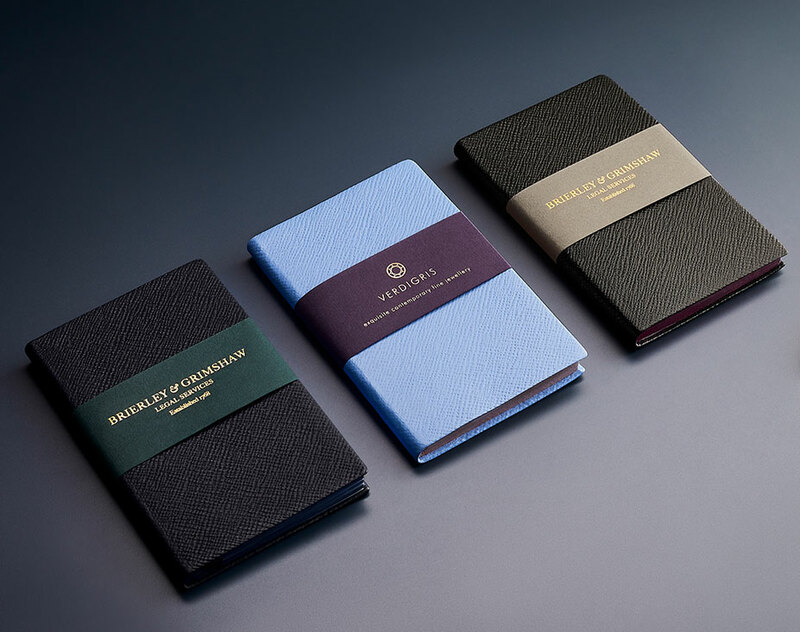 Perfectly capture your corporate identity with a collection of exquisitely handcrafted bespoke stationery from Smythson. 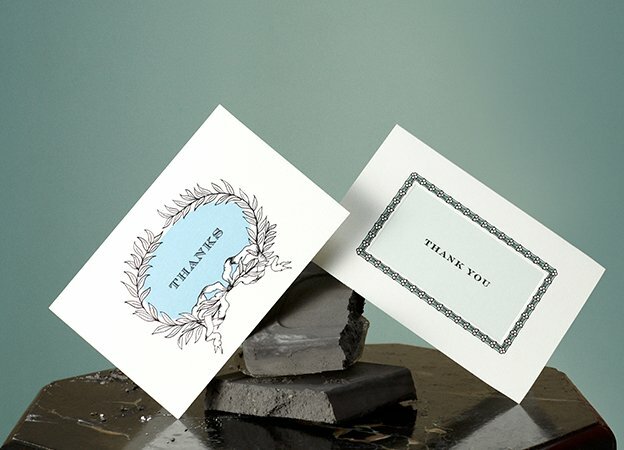 Be it business cards, letterhead or invitations, our experts will help you select from our wide array of inks and papers to ensure that you create a truly lasting impression.